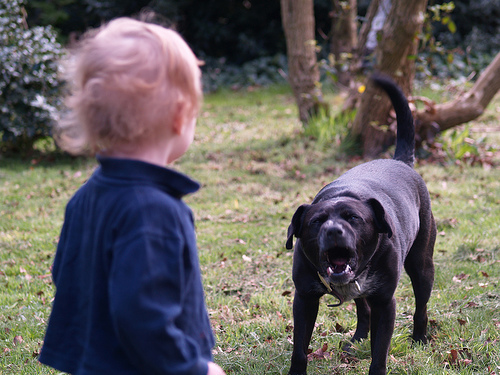 Dog aggression and reactivity is a reality facing many of today’s dogs. It’s not pretty. It’s not fun to deal with. It can be downright dangerous in the hands of someone unable to handle the situation. The worst thing of all? 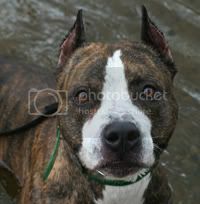 It’s a common trait in many dogs and many breeds, especially in the breed that I love and cherish – the American Pit Bull Terrier. Many people want to sugar coat it, deny it and avoid talking about it like the plague however, burying one’s head in the sand doesn’t do the dogs who have this trait any justice. They aren’t bad dogs. They just don’t necessarily want or need other doggie friends. 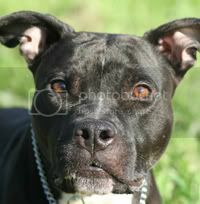 Dog aggression toward other dogs isn’t, as I said above, necessarily a breed specific trait but it is incredibly common in the American Pit Bull Terrier and related breeds. Why? Well, this breed was specifically bred for the specific purpose of being a canine gladiator many moons ago. Often people want to deny the actual history of the original bull-and-terrier crosses and the associated breed traits but the reality is there. They were bred for battle against another animal and/or another canine. 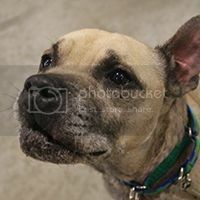 They may have performed other duties in home and often times, pit dogs were fine until actually put into the pit as they knew their job and one would have never known the dog had the abilities it did unless one was in attendance at a dog fight. 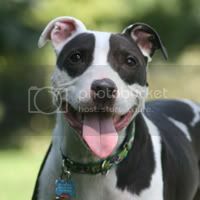 Most pit bull-type dogs tend to fall in between dog tolerant to dog selective as maturity sets in, as is the case with many dogs. They get fed up with the shenanigans from puppies and other dog social dogs and prefer dogs that they match in temperament and behavior – just like many human beings! 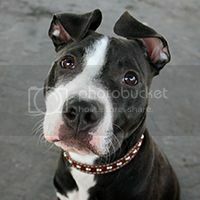 Unfortunately for many pit bull-type dogs that end up in shelters or euthanized, their owners failed to recognize or accept that Fido didn’t love every other dog out there, got snarky and unmanageable and, ultimately, failed by his human being for having traditional breed traits and no one to set boundaries or reinforce good behavior and how to behave even if they’re in a situation that could lead to a reaction. 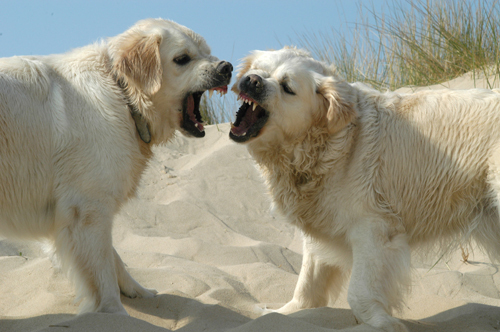 That being said, dog reactivity/aggression should not by any means to be confused with human aggression. 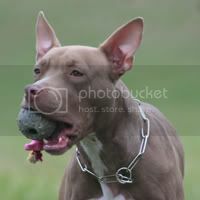 Human aggression is one of the worse offenses dog kind can commit because it brings into play human laws and human emotions and will often lead to the ultimate solution – euthanasia. I, personally, do not tolerate this type of action from a dog. If a dog shows serious injury causing aggression toward a person (adult or child), then there is only one fate in my book. With so many stable-minded dogs of all breeds available, one who harms a human being should not exist in this world because the risks associated with it do no one any good – least of all the dog or person involved in such a vicious attack. 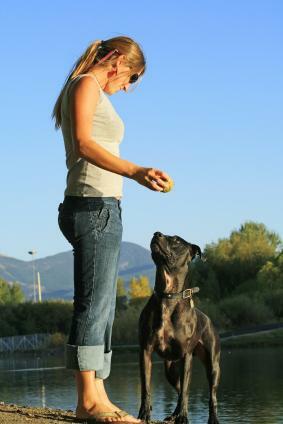 Ultimately, in the end, it will be up to the person to maintain their dog in a situation. They will need to understand, accept and acknowledge breed traits and tendencies and react accordingly. Setting up a dog for failure in any circumstance is simply unacceptable and irresponsible. 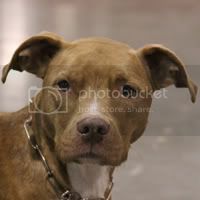 This act of irresponsibility will lead to other consequences for those who pride themselves in being responsible for their dogs through breed specific legislation and other regulations that are aimed at being reactive to situations of owner failure. Thankfully, there are many, many resources available out there to help and educate on all things breed specific on the Internet by trusted resources like BAD RAP and DINOS. This entry was posted in General, Training and tagged animal aggression, bsl, dog aggression, dog training, dogs, training on November 1, 2013 by ShadowWolf.